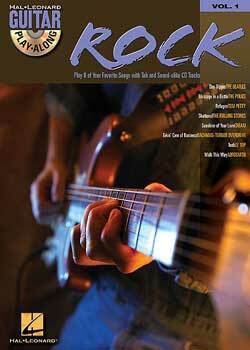 Guitar Play-Along Volume 1 Rock PDF + Mp3 CD download. The Guitar Play-Along series will help you play your favorite Rock songs quickly and easily! Just follow the tab, listen to the CD to hear how the guitar should sound and then play-along with accompaniment from the separate backing tracks. With eight blistering examples of the rock genre this is ideal for beginners or any guitarist who wants to expand their repertoire. The melody and lyrics are included in the book so you can sing along too or simply use them to help you follow. For both Mac and PC users, this fantastic enhanced CD allows you to adjust the recording to any tempo without changing pitch. CD is embedded in the PDF. Recommended software – Adobe Reader. Click the symbol “Clip” in the Adobe Reader to view attached Mp3 files. Download Guitar Play-Along Volume 1 Rock PDF free and other books from our site. Only high quality PDF scans. Please write a review, it's important for our community.